*Garnier is known to boast lemon as its main ingredient to have radiant skin. It is an International product but also available in Philippines. If you would go their (site) (http://www.garnier.com/index2.aspx) it is difficult to browse for there are certain products that are not yet available here in Philippines so go their (Facebook page) http://www.facebook.com/takecaregarnier. Use Gentle Clarifying Foam then the Multi-Action Whitening Cream as it gives anti-dullness, anti-dark spots, and anti-acne marks. 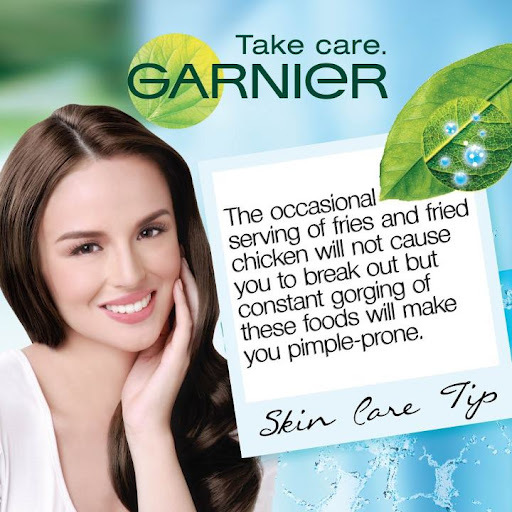 If you wanted to have fair skin as Georgina Wilson, try Garnier! *Amira Magic Cream (http://www.facebook.com/AmiraMagicCream) has a mulberry extract responsible for slowing down the production of skin pigments. Amira soothes dry and irritated skin as it also has chamomile extract. Most of the people use this for underarm whitening as it whitens dark areas like elbow, neck, etc. but do not mistaken this as a deodorant. For first time users, check the product first if it’s fine with your skin by patting in your wrist. Available at Mercury Drug Store, Hortaleza, Watsons, and Puregold and their main office is at West Avenue, Quezon City in front of Metro Bar. P295 for 15 grams while P795 for 60 grams. Whether by taking a bath, or external application like creams or through oral intake, whitening products are very marketable. So if you wish to be a head turner as you walk to the room, try any of this and you might get the attention of your ultimate crush. This entry was posted in Health and beauty and tagged natural whitening products, whitening product, whitening product that works. Bookmark the permalink. I am using Granier Facial Wash, the blue one. I love it. I heard that Garnier products are good and safer! Haven’t tried though! I’ve tried kalamansi and its very effective that I think this more of lemon ingredients so its also effective.